After much deliberation and argument, the winners of the 2007 Thinking Putty Contest have been announced. You view all of the entrants photos and videos here. Who would have thought that a simple desk toy would inspire so much creativity! The 2008 Contest is currently accepting entries. 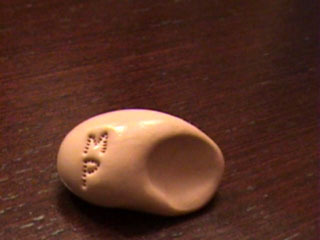 So get your Thinking Putty caps on and make something amazing! Dan MacKenzie submitted this excellent time lapse movie to the 2008 Thinking Putty competition. You might have to right click on the link and 'Save As...' to your hard drive to view it properly. When we started the contest way back when it was for photographs of sculptures. Of course, now we live in a multimedia world so we've changed the rules. Anything goes: videos, faux commercials, love songs, just about anything Thinking Putty related. Don't let Dan steal the prize...submit your entry! Happy New Year Putty Fans! We've decided to restart our fabulous sculpture contest for 2007 and we need your entries. We're looking for sculptures, movies, or any kind of putty craziness you can come up with. First Prize is $250 cash or $500 in Thinking Putty.